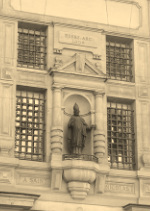 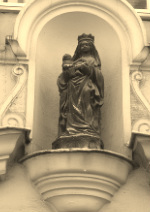 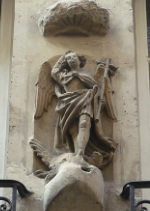 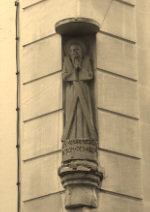 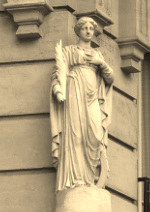 Many religious statues are scattered in several arrondissements of Paris. 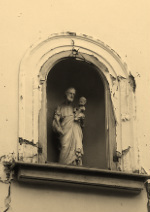 These statues testify the popular piety of the past. 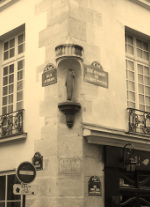 Objects of worship and devotions, devotions and offerings were made to them, a tradition and belief that continues today in some neighborhoods, but many of them have been destroyed during the revolutionary period, which explains the presence of empty niches in Paris, but some of these statues have survived or have been replaces. 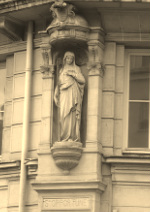 Most of these statues are on street corners, as in many others French cities, but we can also find some religious statues nestled or simply placed on a pedestal on some facades.